Three friends, with far more passion than expertise, decided to record their conversations about wrestling and turn them into this podcast. Adam, Archie, and Mitch research, watch, discuss, and laugh about wrestling from the territory days all the way to the present. 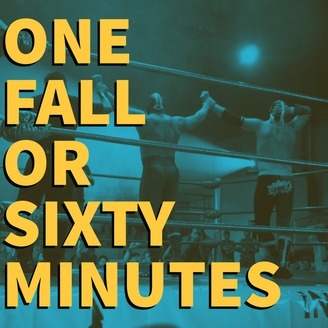 Each episode will be labeled either "One Fall," or "Sixty Minutes.” In a 'One Fall' episode, the guys will watch and discuss a specific match - talking about the wrestlers, gimmicks, psychology, and pointing out the subtleties they find most entertaining. "Sixty Minute" episodes will have the guys research and discuss, in depth, a specific topic. Whether a specific wrestler's career, or the history of a specific move, these episodes will make a smart mark out of you in no time. This week the guys head back to Smoky Mountain Wrestling for the first match from Episode 4 of SMW TV.